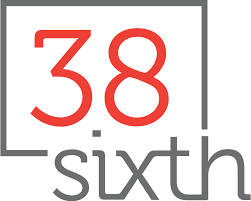 Conveniently situated amidst Brooklyn’s vibrant restaurants, shopping, and transportation, 38 Sixth sets a new standard. The thoughtfully designed floor plans range from studio apartments to spacious three-bedroom homes, rising 23 stories above the Barclays Center. The residences at 38 Sixth Avenue are a critical element of Greenland Forest City’s plan to make Pacific Park Brooklyn an inclusive neighborhood designed for all New Yorkers. Each layout is spacious and flowing, affording ample sunlight and city views. Each apartment at 38 Sixth offers generous features and finishes that provide you with convenience, simplicity, and a touch of luxury. Handpicked features like French oak floors, custom cabinetry, quartz countertops, Whirlpool appliances, and ceramic backsplashes adorn the modern, spacious apartments. The attention to detail seen in each residence is echoed throughout the building’s lobby, common spaces, and amenities, which include essentials like a fitness center and luxuries like a pet grooming area. There’s a new center of it all in Brooklyn. Situated between Fort Greene, Boerum Hill, Clinton Hill, Prospect Heights, and Park Slope, Pacific Park Brooklyn links “old Brooklyn” to “new Brooklyn,” connecting everyone in between. Living at 38 Sixth, the third affordable housing rental residential building to open at Pacific Park, will offer residents a vibrant and convenient location with plenty of open spaces to enjoy.